Until 2010, Indonesia’s Sinabung volcano was dormant, with no confirmed eruptions in the historical record. 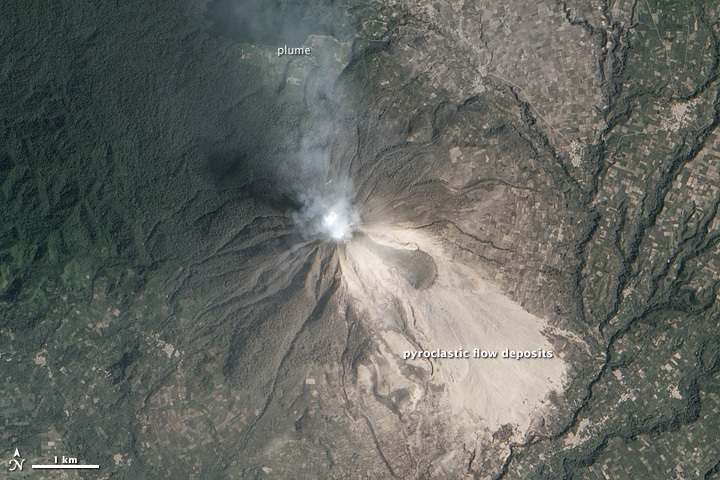 A brief burst of activity in August and September 2010 caused the temporary evacuation of about 30,000 nearby residents, but most people quickly returned as the eruption waned. 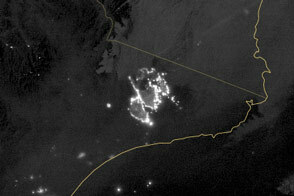 Three years later, fresh gas and ash plumes marked the arrival of a new series of eruptions. 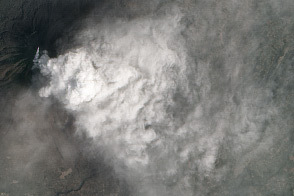 The Advanced Land Imager (ALI) on the Earth Observing-1 (EO-1) satellite collected a natural-color image of an ash plume from Sinabung on February 6, 2014. Frequent collapses from the unstable lava dome near Sinabung’s summit create pyroclastic flows that have swept at least 4.5 kilometers (2.8 miles) down the slopes so far. 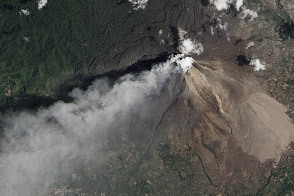 The flow deposits are visible southeast of Sinabung’s summit and appear light gray. On February 1, 2014, the volcano killed 15 people when hot debris engulfed the village of Sukameriah. 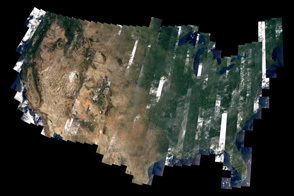 NASA Earth Observatory images by Jesse Allen, using EO-1 ALI data provided courtesy of the NASA EO-1 team and Landsat data from the U.S. Geological Survey. Caption by Robert Simmon and Adam Voiland. 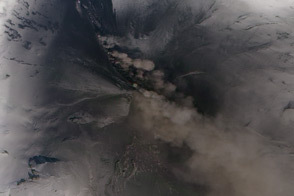 On February 1, 2014, fifteen people were killed when hot debris from this Indonesian volcano engulfed the village of Sukameriah. 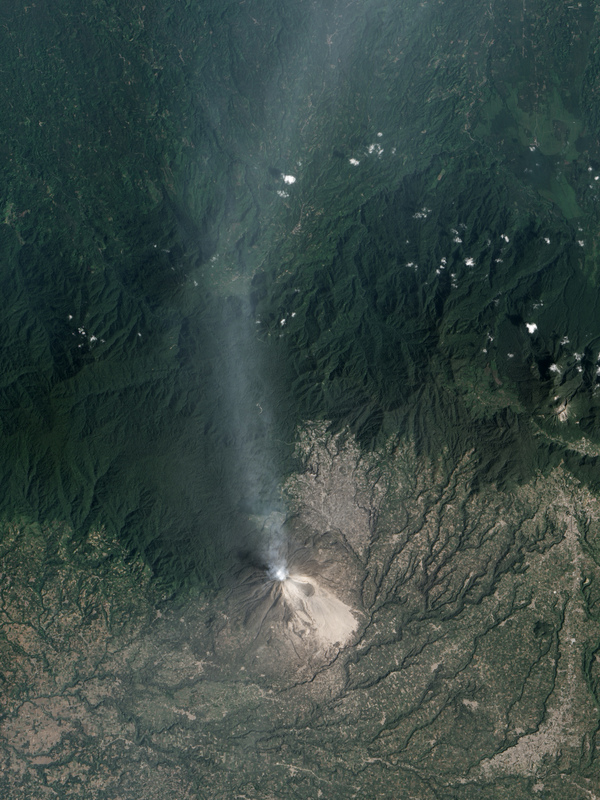 Until 2010, Indonesia’s Sinabung volcano was dormant, with no confirmed eruptions in the historical record. 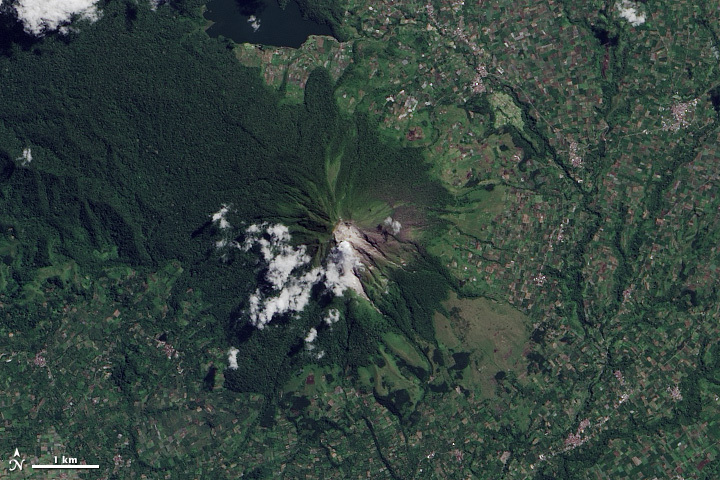 The volcano has since erupted violently in 2010, 2014, 2016, and 2108. Bad Astronmy, via Slate. (2014, February 7) Like Volcanoes Aren’t Scary Enough, Now They’re Spawning Twisters. Accessed February 7, 2014. CNN (2014, February 5) Searches halted in Indonesia after Mount Sinabung eruptions kill 15. Accessed February 7, 2014. 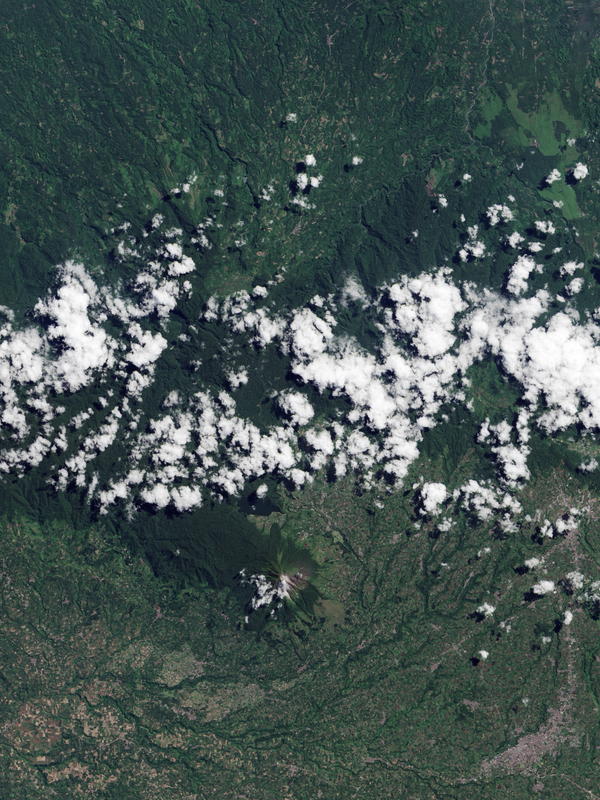 Eruptions Blog, via Wired (2014, February 1) 14 People Killed in Pyroclastic Flow at Sinabung. Accessed February 7, 2014. Global Volcanism Program (2010) First Holocene eruption; ash explosions during August-September 2010. Accessed February 7, 2014. 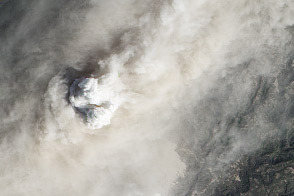 Roscoe, R. (2014) Sinabung Volcano (Gunung Sinabung). Accessed February 7, 2014.